Pins are included for you to solder on yourself. 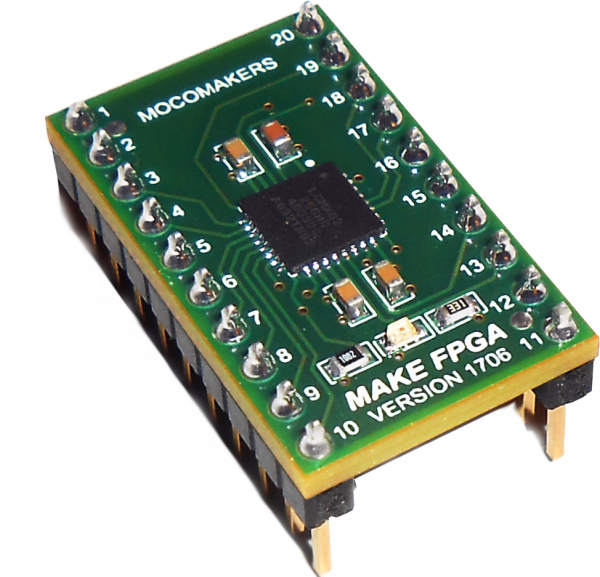 The Fipsy FPGA Breakout Board is the perfect starter board for learning FPGA and hardware design principles. Apply the 256 LUT FPGA towards your learning and small projects! Based on the Lattice Mach XO2 FPGA, and supported with numerous examples.